The first time you set eyes on Hong Kong is unforgettable. A hundred mountains rise sharply from over 250 islands. Popping skyward are famed rows of sci-fi skyscrapers — many with glitzy rooftop lounges – that hug a harbor filled with red-sail junk boats. 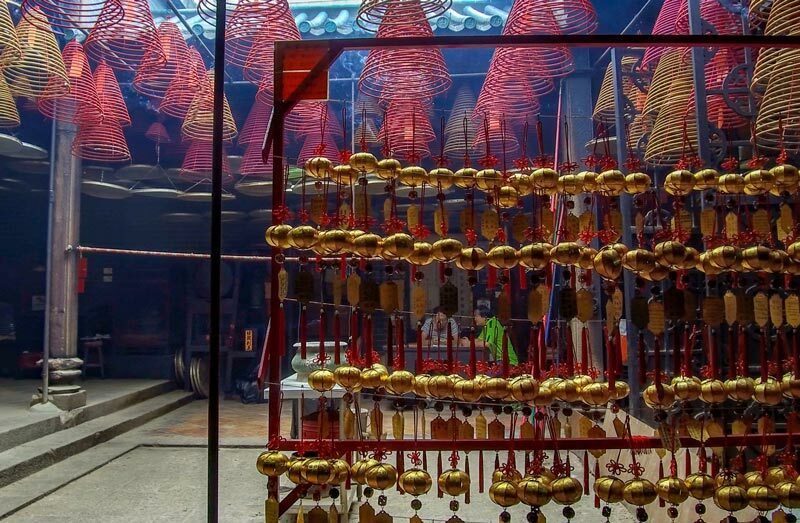 Lurking in the alleys are open-air jade markets, chaotic dim sum halls, temples filled with incense smoke, and the steaming bowls of rice noodles. Visiting a city of seven million that attracts 30 million visitors a year might seem overwhelming for a first-timer. It’s actually one of Asia’s easiest cities to visit, and this guide will help you plan your Hong Kong debut. Generally, the best time to visit Hong Kong is October to December, or (foggier) March and April. Hong Kong has as subtropical climate (average temperatures vary from 65 to 85 degrees all year). Monsoon season begins in May and lasts through the hot and humid summer. Winters get chillier and busy, so prices rise. Alaska’s Global Partner airlines offer nonstop flights to Hong Kong, allowing Mileage Plan members to earn and spend their miles on a long-distance trip. Of note, Cathay Pacific offers nonstop flights to Hong Kong from Los Angeles, San Francisco, Vancouver, B.C. and, starting April 1, Seattle. You can get a one-way economy ticket for 30,000 miles. Also note: you can presently earn double miles on nonstop Cathay Pacific flights between Seattle and Hong Kong. This promotion won’t last forever, so you may want to move up your travel plans. Hong Kong uses the Hong Kong dollar (HKD), which is presently worth about US$0.13. You will find ATMs using Visa, MasterCard, Cirrus, Plus, EuroCard networks everywhere (convenience stories, malls, train stations, banks). Most hotels, restaurants, shopping centers and attractions accept credit cards. As always when going abroad, let your bank or credit card know you’ll be traveling to Hong Kong before you leave. Hong Kong has three principal regions: Hong Kong Island, Kowloon Peninsula and New Territories (including outlying islands). 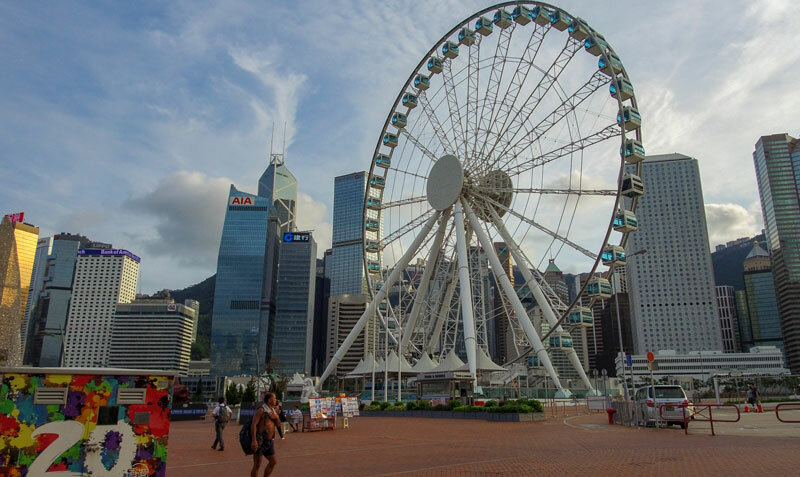 Nearly all visitors spend their time in Hong Kong Island and make a few trips into Kowloon. The New Territories, meanwhile, make up 85 percent of Hong Kong’s area. Some of it is neighborhood sprawl, but it’s also home to many of Hong Kong’s 263 islands and mountains (many breaking 3000 feet). Hong Kong Island is a 30-square-mile rock of mountains and skyscrapers just across Victoria Harbour from the mainland. The bulk of useful neighborhoods to know squeeze onto its north shore, just below Victoria Peak. 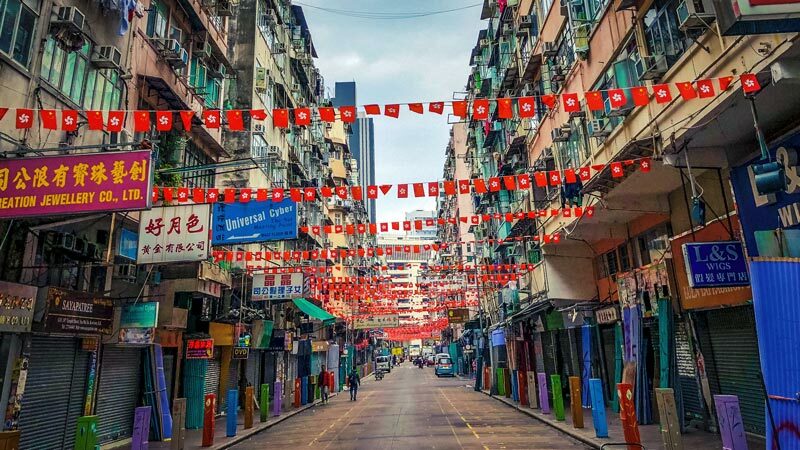 Central is where the banks and business types are, just west you’ll find alleys and shops in Sheung Wan and – up the escalators on the hillside – cafes, bars and clubs of compact Soho (South of Hollywood Road) and Lan Kwai Fong. 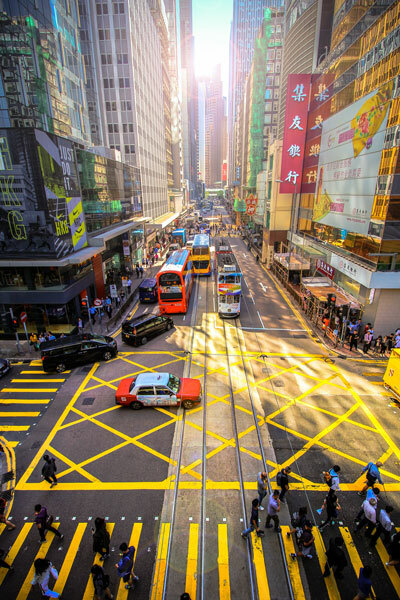 East of Central, Causeway Bay and Wanchai is mall-central, with convention centers and the city’s famed horse track. Across Victoria Harbour, Kowloon’s Tsim Sha Tsui neighborhood lines the harbor. It’s a transportation hub with the mainland, home to many museums, and a superb waterfront promenade and sky bars looking over Hong Kong Island’s skyline. Just north is Jordan, a lively scene during the nightly Temple Street Market (open-air eateries abound, particularly October through May) and Jade Market. Of the many other islands, Lantau is especially popular for day-trips. It’s home a surviving fishing village of stilt houses, Hong Kong Disneyland and the giant bronze Tian Tan Buddha, reached by gondola or part of the island’s extensive hiking trail system. 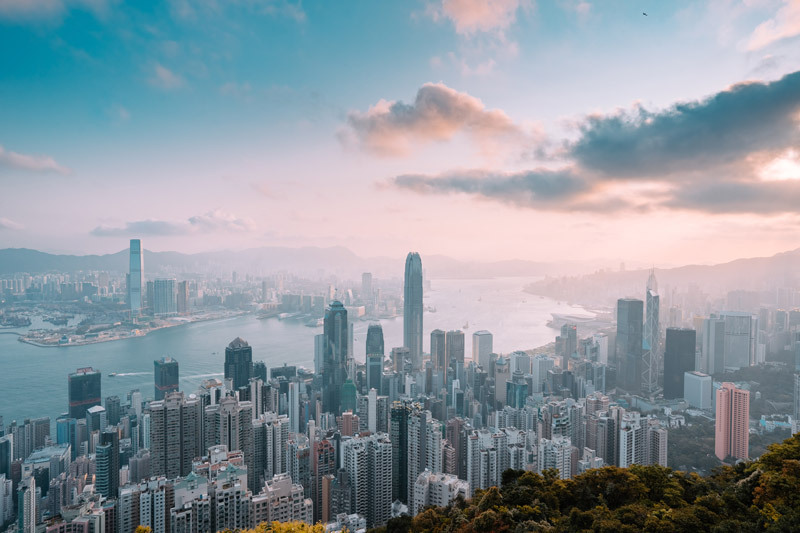 Most first-time visitors say in Hong Kong Island, where you’ll find high-end hotels, simple guesthouses (often with windowless rooms) and Airbnb options. With a little more time, don’t rule out Kowloon. It has the best views looking back to Hong Kong Island, and is near most of the museums and endless food options. Using Hong Kong’s public transit — ferries, historic trams, subway, buses – is a huge part of the fun. Signs are in Cantonese and English, and it’s very efficient (nearly six million ride it daily, yet it records an incredible 99.9% on-time rate). Get an Octopus smart card to pay as you go with ease. Fares are inexpensive; the Star Ferry ride between Hong Kong’s Central Station and Kowloon, for example, is under 50 cents. The historic double-decker trams on Hong Kong Island – called “ding dings” by locals for their bell – first appeared in 1904. They are wonderful ways to get around Hong Kong Island’s north shore in particular. A ride is HK$2.60 (about 33 cents). Taxis are color-coded; red ones serve Hong Kong Island and Kowloon. It’s about US$35 to US$40 to ride between the center and the Hong Kong International Airport. A quicker (and often more affordable) option is the high-speed Airport Express, which connects the Central business district and Kowloon with the airport in under a half hour. A one-way trip is HK$115 (about US$14). Hong Kong is endless, but there are a few things you have to do on first-time visit. A traditional wooden “junk.” Photo by Kim I. Mott. 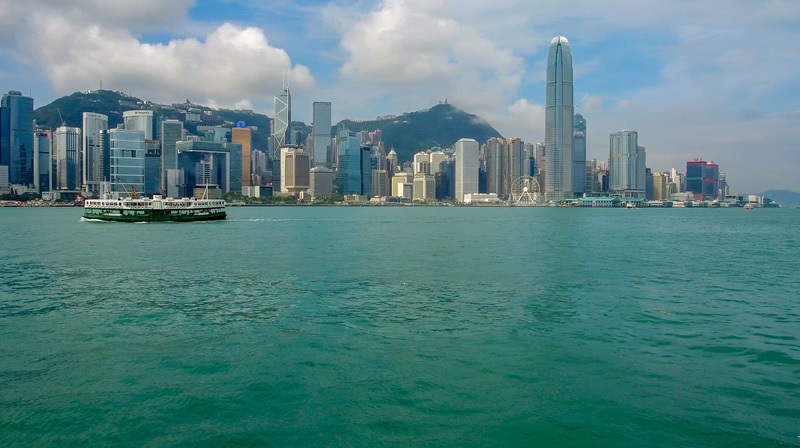 The harbor between Hong Kong Island’s skyline and Kowloon is the most arresting urban waterway in the world. You have to get on it. The easiest (and cheapest) way is taking the historic Star Ferry from Hong Kong Island’s Central Business District to Tsim Sha Tsui in Kowloon. It’s under $1 dollar and has offered a thrilling 360-degree orientation to passengers since 1888. For more contemplative time on the water, Hong Kong locals love renting out boats for full summer days on the water and hopping around islands. 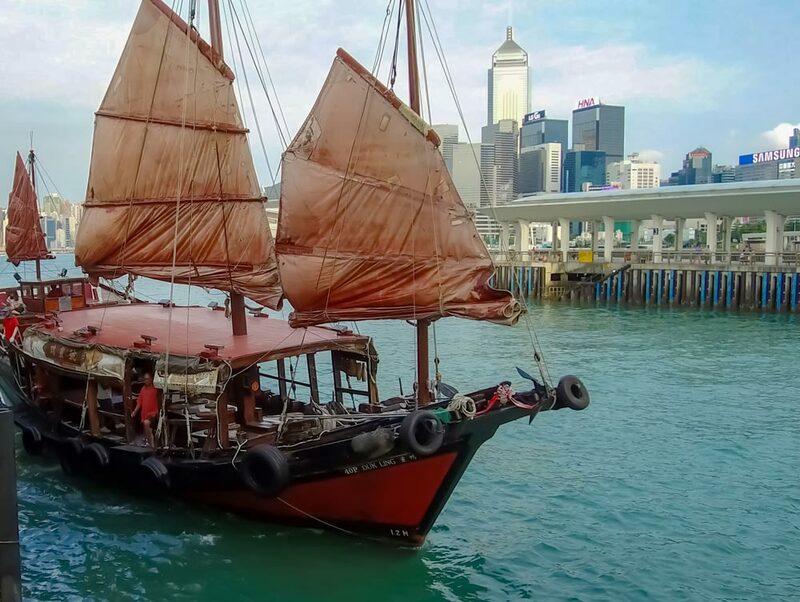 “Junk” is often used locally to mean small yachts and other modern boats (check out the junk trips offered by Time Out Hong Kong). But if you want to ride in a traditional wooden “junk” – those with jagged red sails that look centuries old – you can arrange a half-hour dusk ride to admire dusk from an open deck. There is exactly one “antique” left (the Dukling, built in the 1950s) and many more modern remakes. Sunset rides start at US$20. Touristy, yes. But incredibly fun. No one realizes how mountainous Hong Kong is until they arrive. The most enduring vantage point is taking the historic Peak Tram up Victoria Peak, the island’s highest point. It’s a steep funicular ride up, with views looking back between residential towers of “Mid Levels” mountainside neighborhood, then over the modern skyline and harbor towards a jagged, green horizon of mountains. In operation since the late 19th century, the tram is no secret and lines get long (a return ticket is HK$52, or about US$6.60). It operates from 7 a.m. to midnight, so you can beat crowds by going late – after dinner – to see the city’s blinking lights. During the day, you could take a taxi or huff it up the lush Morning Trail via Hatton Road, then walk back down via Old Peak Road. Up top, the Sky Terrace 428 is supposedly the highest viewing platform in the city (and comes with an additional expense), but there are many free vantage points too. 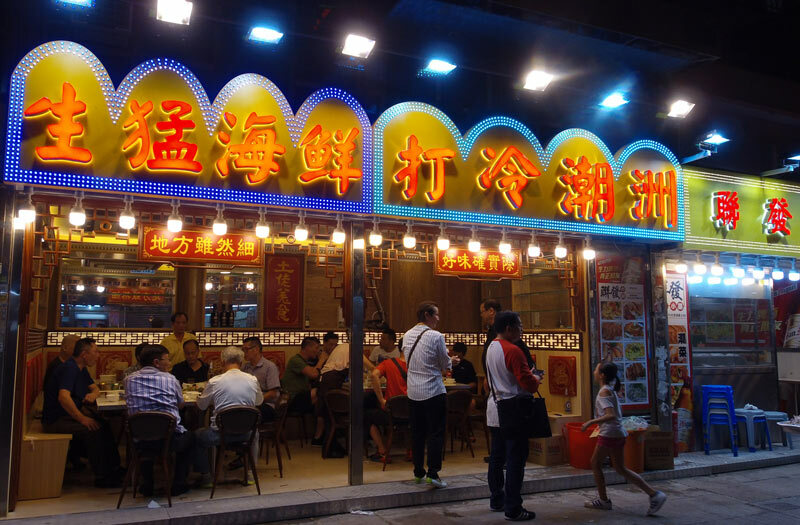 Hong Kong is believed to have more eateries per capita than anywhere in the world. You’ll find open-air street eats, Michelin-star restaurants and everything in between. Four dishes you should definitely seek out include a steaming bowl of wonton noodles with shrimp, a juicy family-sized portion of marinated roast goose (sometimes mistaken for duck), a cup of the ubiquitous milk tea (apparently Hong Kong drinks nearly one billion cups a year) and – especially – dim sum. Dim sum, or “heart’s delight,” earns its name if you’ve not tried it. It’s traditionally a Cantonese-style brunch, where bite-sized goodies (e.g. 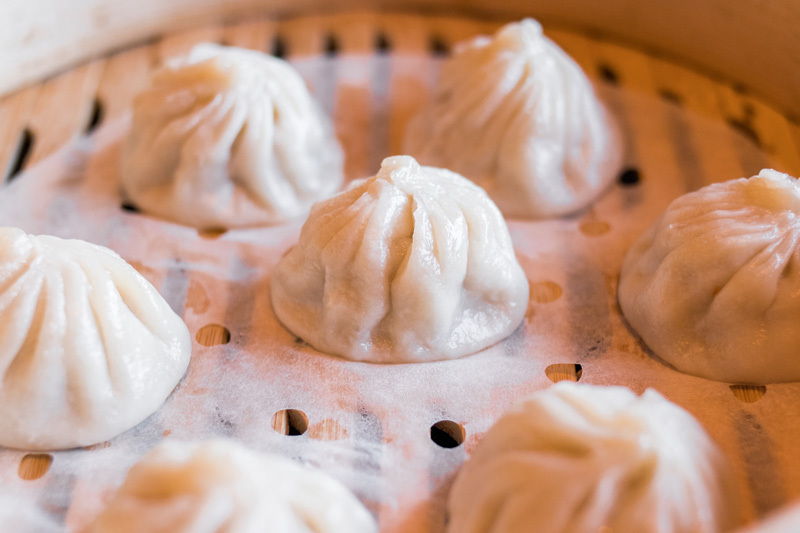 barbecued pork buns, shrimp-filled dumplings) are carted around a restaurant and diners just pick-and-point. Empty platters are counted up to total your bill when done. Today you’ll find stylish modern make-overs in rooftop lounges, as well as more old-school ones like the chaotic Lin Heung Tea House. Hong Kong has always been a trading city, and shopping rivals eating for the city’s pastime sport. For some glitz, Causeway Bay on Hong Kong Island, is famed for high-end malls and a full Fashion Walk of international designer stores. Antique-hunters can browse a couple dozen shops on Cat Street (also known as Upper Lascar Row) for art, housewares and vintage knickknacks, while Hollywood Road gets a little cheaper (with more Cultural Revolution–type kitsch). Outdoor markets are ideal for souvenirs. 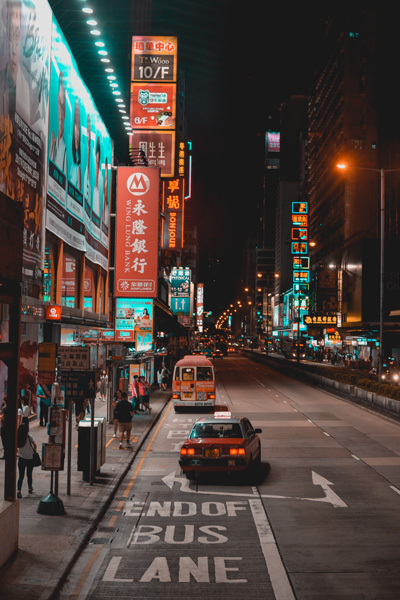 A great evening can be spent roaming Mong Kok in Kowloon at the open-air Jade Market and Temple Street Market, where you’ll find a blur of cheap clothing plus lots of street food. You probably won’t leave Hong Kong with a live bird or fresh flowers, but Mong Kok’s Flower Market (and nearby Yuen Po Bird Garden) are delightful ways to browse as locals do.